20 Dinosaur Coloring Pages. cute dinosaurs, tyrannosaurs, sauropods, ceratopsians, raptors, theropods, titanosaurs, ankylosaurs, hadrosaurs (duck-billed dinosaurs), ornithomimids (bird-mimic dinosaurs), ornithopods (small, plant-eating dinosaurs), pachycephalosaurs (bone-headed dinosaurs), flying dinosaurs. 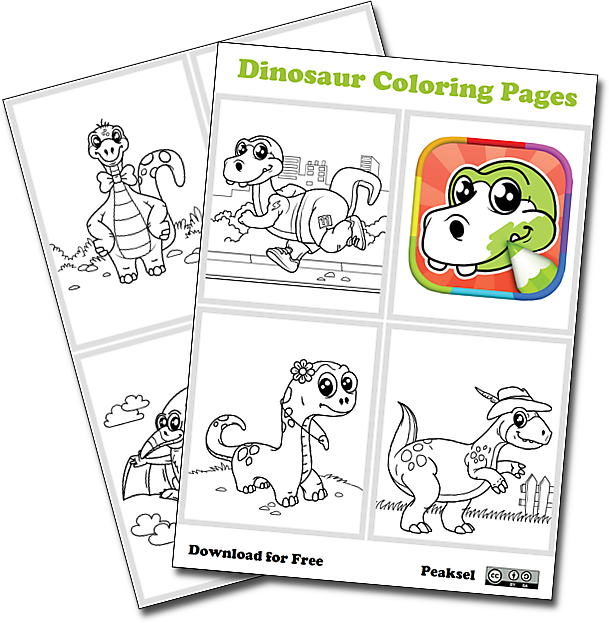 Dinosaur Coloring Pages is a printable coloring book for kids with 20 adorable dinosaur drawings. Kids enjoy coloring and scribbling, so they will enjoy playing in this little Jurassic Park. Coloring is not only good for children, you may be interested to know that adults can benefit from this simple practice. 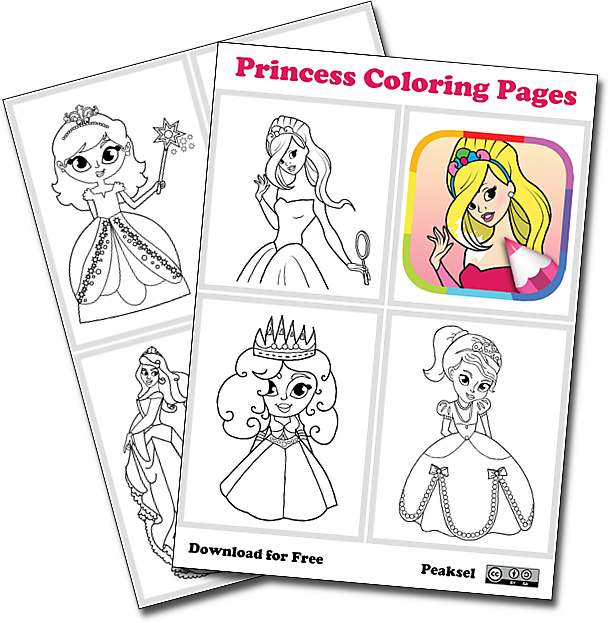 Coloring is an activity that we always relate to children. Most of us remember it as a fun activity where you can be as creative as possible, using all the available colors. But as we grow, we decided that we are too old to continue coloring and that the only adults who should do this kind of thing are graphic artists. These ideas begin to change, a new trend of coloring books aimed at adults , with subjects a little more upturned in tones than the typical prairie animals, objects and caricatures that we see in children's books, has emerged. The good thing is that this fashion, unlike many others, is excellent for health, especially because it is an incredibly good way to release stress, something important for anyone. Carl Jung, the Swiss psychiatrist and psychotherapist who founded analytic psychology, has the credit for having introduced the concept of creating and coloring mandalas in the Western world as a way of representing the entire personality of a person. This idea has been used by many psychotherapists and has evolved in the present to the point where there are art therapists, such as Cathy Malchiodi, who believes that coloring books are the way to reach a psychological nirvana, through the meditation and mindfulness to our thoughts. According to the psychologist Gloria Martinez Ayala, the action of coloring requires that our brain enters a state of creativity to be able to mix and combine colors, but it must also apply logic to be able to understand which figures are being formed when it is colored. In order for the brain to do all this, it needs to activate the cerebral cortex, which is where vision and motor skills are handled, necessary to make small, precise movements when it is colored. The whole process means that we have to concentrate on a single activity that is fun and that also reminds us of good times in our childhood, which, in turn, makes us leave aside the concerns of adult life and the stress, even for a few minutes a day. Sleeping is an important part of life, but unfortunately there are many people who suffer from insomnia. There are many remedies for this problem, but there are also therapies to help you sleep on a regular basis. One of them is color therapy, which is based on the way color stimulates us. For example, blue and white are colors that have a relaxing effect on the nervous system, while red increases blood pressure and pulse. This is when color therapy goes a little further. According to Judy Woods of Telegraph, her daughter suffers from insomnia, so she decided to take her to experts in sleep patterns and they advised her that in addition to making some changes in the room environment, she would also color about half an hour before going to sleep . The activity would relax his mind to the point of eliminating the anxiety he felt every time he had to go to sleep. This happens because the use of colors and concentration required for the task force the brain to live in the moment , without elements of competition or a possible failure. This free download contains a PDF . Use the password worksheets.site to open the PDF file.